Update 8:40 P.M. the injured skier, a 39 year old man from Bozeman, skied off the ridge from Bridger Bowl into Truman Gulch. He was skiing with friends but they were not nearby. He triggered an avalanche and was carried downhill. He was buried for a while, but surfaced with an injured knee. He telephoned his friends and they called someone they knew at Bridger Bowl. Bridger Bowl then called 911 and a backcountry rescue was initiated. Two members of the backcountry search and rescue team reached the man from the ridge. They packaged him in a litter and transported him down Truman Gulch. More search and rescue members who came uphill on snowmobiles met them about halfway down. The man was then transported to a waiting ambulance and at the hospital by 8:00. Sheriff Gootkin would like to remind all outdoor enthusiasts that skiing in the backcountry does not come without risks, especially when there is recent snowfall. In addition, if you are injured, a rescue can be a complicated affair. Calling 911 early can make a complicated event less so. Sheriff Gootkin would like to thank all of the volunteers who responded to this incident. The temperatures were cold and the conditions were hazardous. (Bozeman, Mont.) 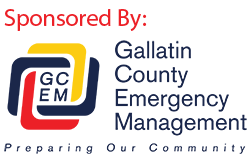 Sheriff’s Search and Rescue Teams were sent to the west side of the Bridger Mountains at the north end of Truman Gulch at 4:00 this afternoon for a person caught in an avalanche. The report from Bridger Bowl Ski Patrol indicated a person had been caught in a slide but was not buried. They had leg and hand injuries and a broken ski. Rescuers at Bridger Bowl dropped over the top while Rescuers in the valley attempted to access the area by Life Flight medical helicopter. Conditions such as avalanche danger, visibility and deep snow eliminated a landing. The rescue team from Bridger Bowl had a tough ground slog with the patient where they were met by teams using snowmobiles and skies coming up from the bottom. Information will be updated as it becomes available. Check Gallatin Media for the updates.